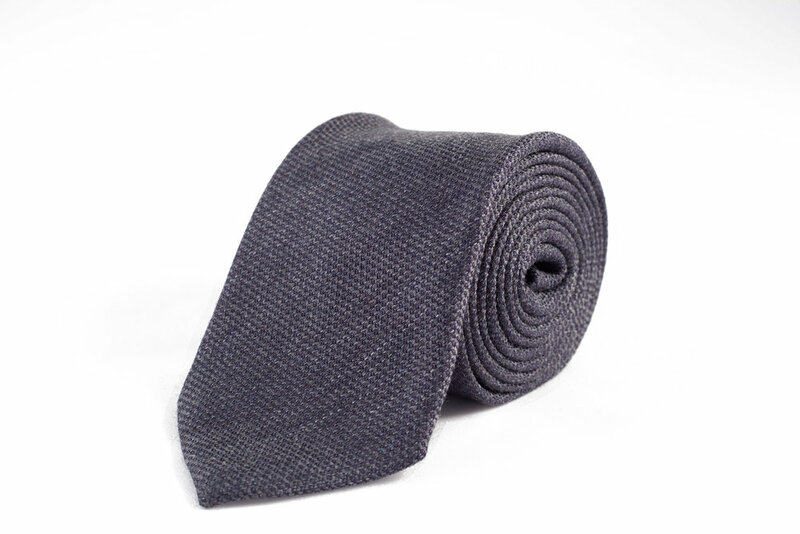 Garrison Essentials Slub Wool Silk Contrast Tie. Our latest release from Essentials is a classically woven wool, silk blend, with a luxurious colour and textural contrast. Handmade from our new small batch maker in Como, Italy. Exclusively for Essentials at our new price, $55. 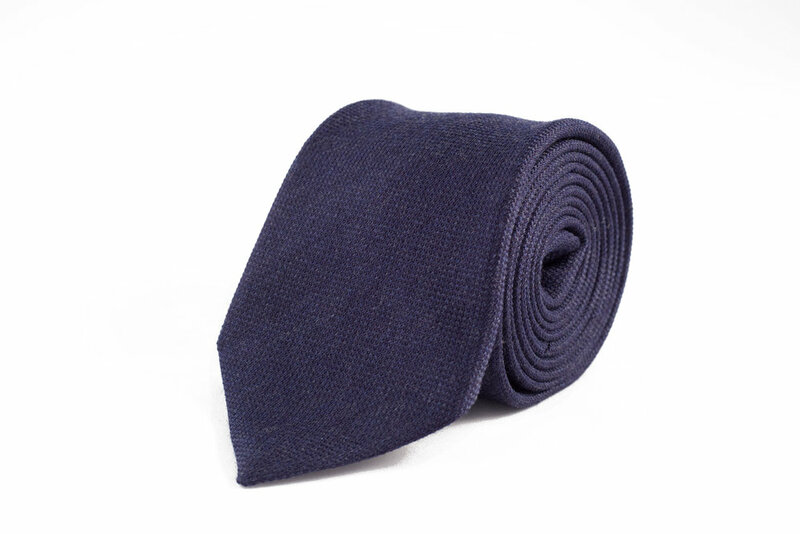 A perfect blend of fine Australian Zegna wool and Tussah silk. The silk creates a lustre and elegance, with the wool adding a matte, muted undertone. Together, the blend creates a mix of texture and contrast that works well with all tailoring. The sharp, power feel from the silk for business tailoring and the slub, textured feel from the wool for more casual tailoring. Available in Red, Charcoal, Navy and Brown in limited quantities. A 2.75" width pointed bottom.